Any sports fan knows who Shaquille O’Neal is and if you are unaware, he’s just a four-time NBA champion. He even has a statue outside the Staples Center of him dunking with an intense fervor. That was pretty much how he played every game when he stepped on the court — with passion and force. O’Neal was virtually unstoppable and his only downfall was the fact that he couldn’t hit from the free throw line. Standing at 7’1″ and weighing in at 325 pounds, the only thing teams could do with him was the hated “Hack-a-Shaq” which was an intentional foul sending him to the free throw line. The Big Show has been wrestling for decades now and is still to this day one of the largest to ever step foot in the ring. 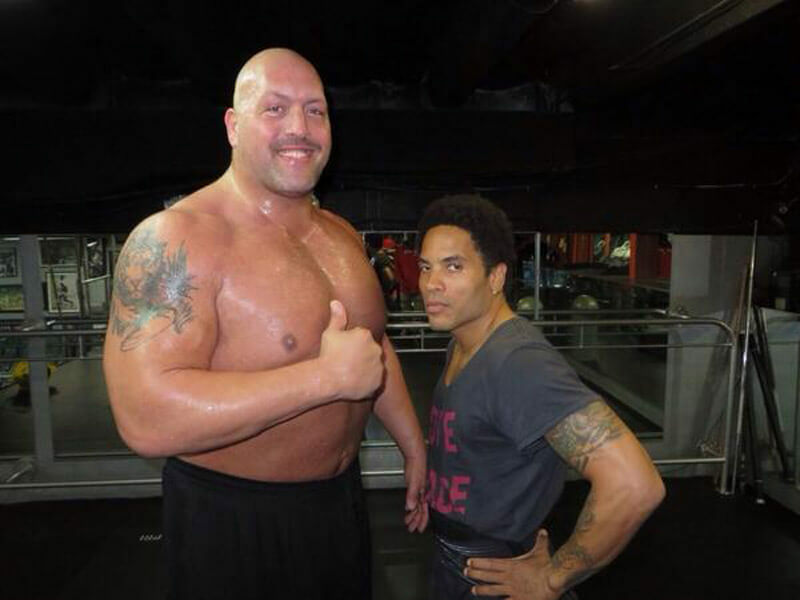 Prior to being Big Show, his name was simply The Giant while he was wrestling in the WCW. The name change happened when he started competing in the WWE. Through all his years of experience, the 7’0″, 450-pounder is one of the most decorated wrestlers in history. When he gets one of his opponents with his signature move, “The Choke Slam”, you can pretty much call it curtains for whoever he’s up against. If you think he’s big, see who we have up next. 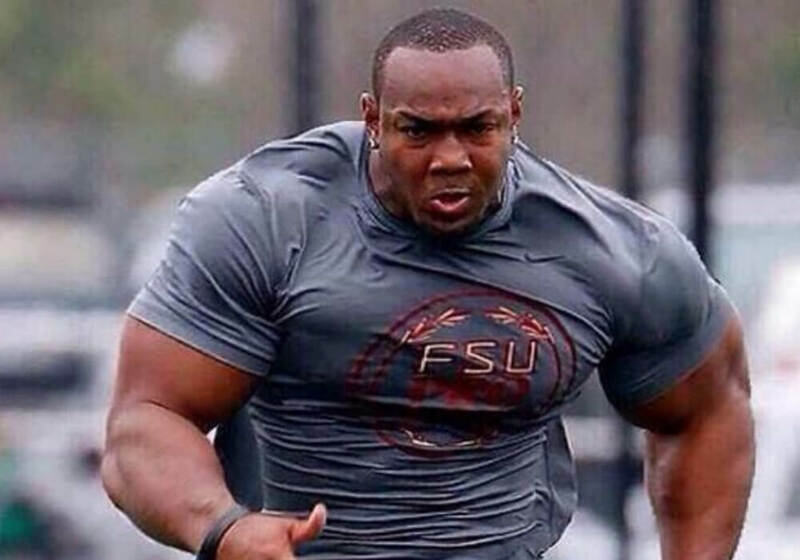 This USC product stands at 6’5″ with a weight of 312 pounds. 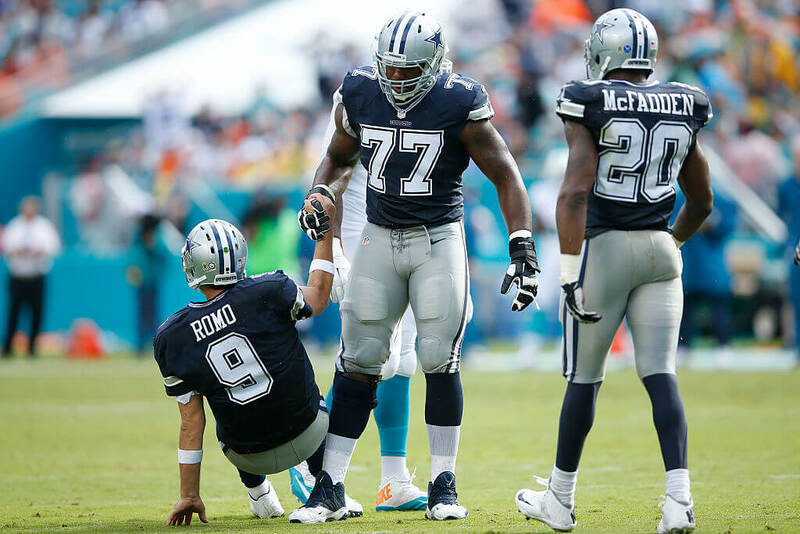 Tyron Smith, (number 77 who you see helping up Tony Romo) is arguably the best blindside offensive lineman in the NFL. He’s the main reason Dak Prescott and Ezekiel Elliott are performing so well over in Dallas. Defensive lineman must exert all of their efforts trying to get past Smith. The Moreno Valley native has the massive strength to go along with his size so he’s a nightmare for defensive coordinators to try and figure out how to go through him. He once pushed back a defender five yards with one easy shove. 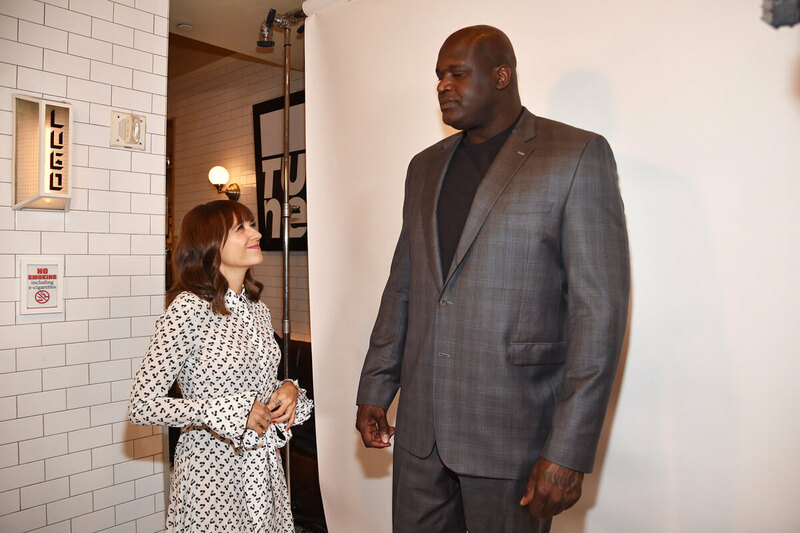 It’s clear that you’re pretty large if Shaquille O’Neal has to look up to you. Yao Ming was an NBA player from China who played for the Houston Rockets from 2002 through 2011. Sadly, the gentle giant was forced to retire from the NBA early due to a foot injury that could be seriously threatening if not handled properly. 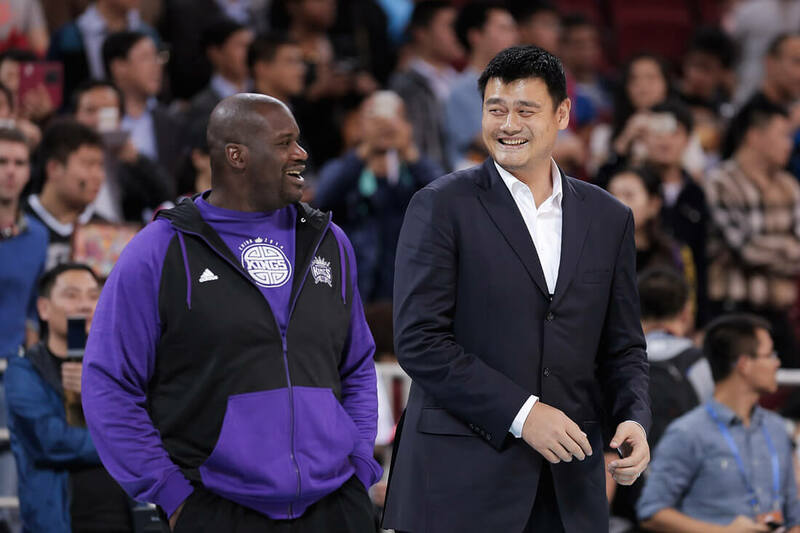 Ming is so huge, that in 2016 when he was inducted into the basketball Hall of Fame, the moderator was too small to help put on his Hall of Famers jacket. 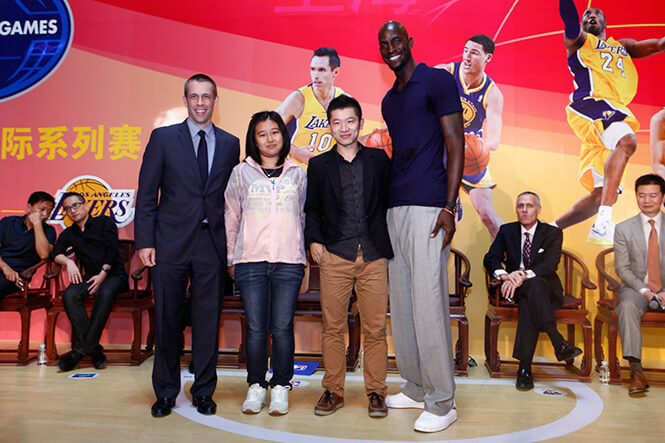 Luckily, O’Neal was in attendance so he quickly assisted with putting the jacket on Ming. Avid sports watchers will tell you that the WNBA is more of a technical sport compared to the NBA. The reasoning behind that is because the ladies aren’t as athletic and must rely more on skill and fundamentals. It’s not like they’re LeBron James just running down the lane dunking on everyone. However, Margo Dydek could have banged with the big boys. She stood at 7’2″. “Dydek, who weighed 223 pounds and had a 7-foot wingspan, was distinguished by a grace and agility that belied her size,” reported the New York Times. Drafted number one overall in 1998, she, unfortunately, passed away in 2011 at the age of 37. Dekoda Watson might not have the height that some of the other athletes on our list have, but at 6’2″ and nearly 300 pounds, he’s still a force to be reckoned with. Watson started his football career in high school before playing for Florida State University. He was drafted by the Tampa Bay Buccaneers in the 2010 NFL draft and currently is a linebacker for the San Francisco 49ers. Sure, Watson’s muscles probably have muscles and there’s no way we’d be able to take him down on the field, but off the field, he’s a softie. Watson is the founder of Koda’s Kids, a foundation that provides opportunities for success to underprivileged kids. The person up next deserved his nickname to the fullest. 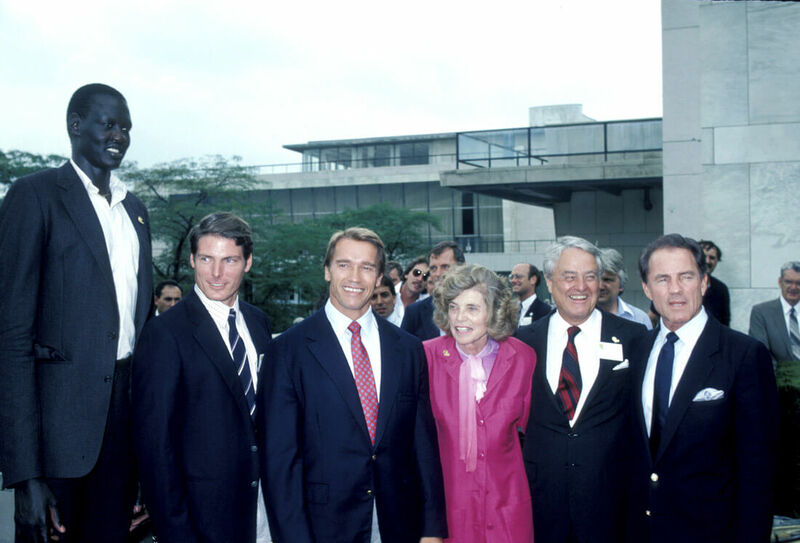 We could just tell you that Andre the Giant stood 7’4″ and weighed over 500 pounds and call it a day but that’s not enough for this larger than life wrestler. Andre Roussimoff was born in France and he had some very interesting quirks. For instance, he enjoyed moving cars as pranks! He was huge indeed but there are others who could nearly rival him! Usain Bolt is the fastest man in history so why is he on this list? 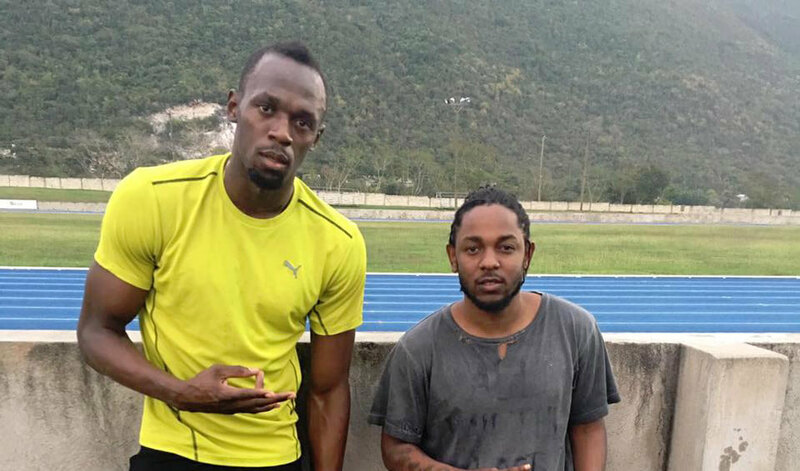 Standing next to him is Grammy award winner Kendrick Lamar, who is normal height. Examining the photo even closer, you can notice that Bolt is even leaning over a tad. Bolt is an anomaly. He wasn’t supposed to dominate the world of sprinting like he did. “Ten years ago,’ Dr. Ian Bezodis said to The Telegraph, “most people would have said that being above average height is a disadvantage for sprinters.” Standing at 6’5″, Bolt has defied physics and changed the way we view athletics. 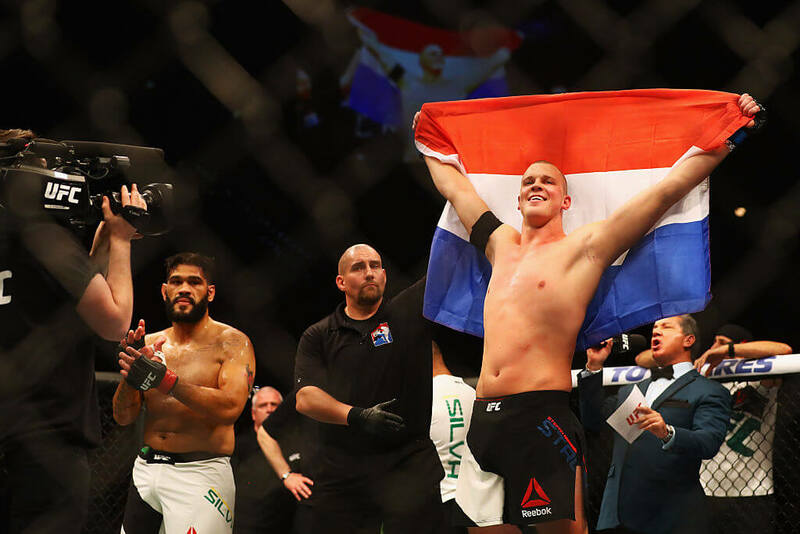 Stefan Struve has garnered the nickname “The Skyscraper” and for good reason. He’s 7’0″ and competes in a sport where there is no one near that height at all. You might think that could be a disadvantage for him but he doesn’t seem to think so. “I don’t really see a disadvantage (on being so tall), as long as you use it the way you should use it. If you use it the way you should use it, then there’s not a lot of things they can do,” Struve told the media in Rio de Janeiro. During his stint in the NBA, Sim Bhullar was the tallest active player in the league. Too bad for him, height didn’t translate to talent and he is now playing overseas professionally for the Dacin Tigers of the Taiwanese Super Basketball League. 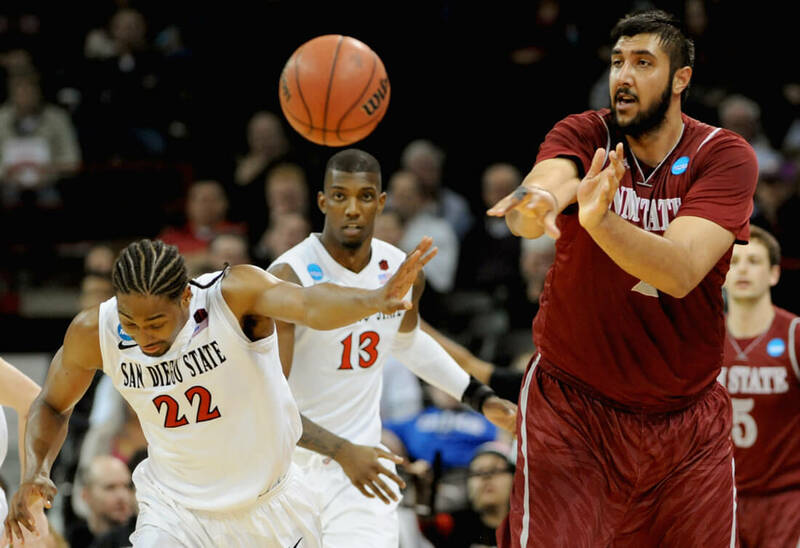 Bhullar is 7’5″ tall and he made NBA history by being the first player of Indian descent to play in the league. Another historic fact about him is that he is the sixth tallest player in NBA history. Can you blame the Sacramento Kings for giving him a try? Tennis is an exhilarating sport to watch but it is even more intense to play. Running back and forth striking a tiny little ball with precise precision takes skill and precision to perfect. For Ivo Karlovic, his 6’11” possibly helps when he has to reach across his body to make a return hit but his height means he has to do more for training. There Goes The Sky Hook! Kareem Abdul-Jabbar was a monster on the court. His height advantage was already unfair for opponents during his heyday but he made it even harder to contest him when he would do his signature “Sky Hook”. It’s a shot that not many do today or are able to pull off. A 7’2″ skilled basketball player doing a running hook shot is nearly impossible to stop. 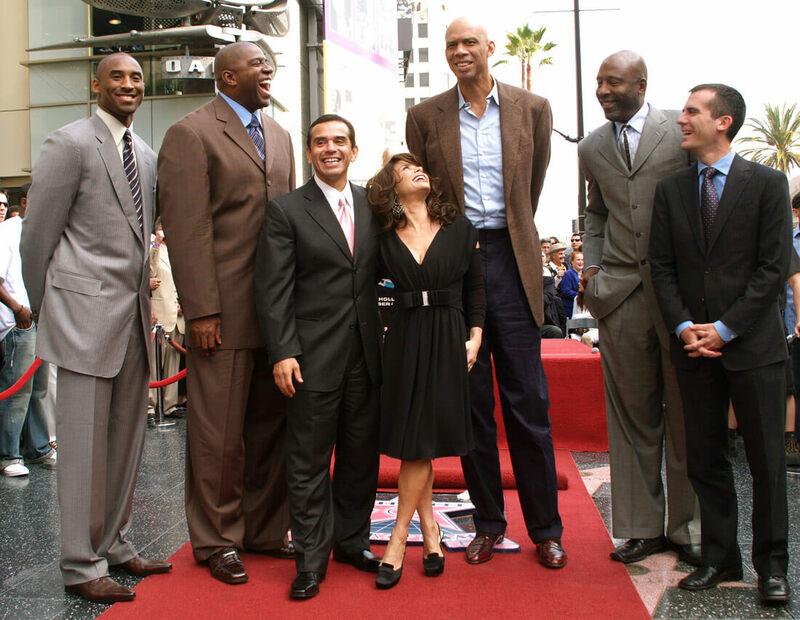 Abdul-Jabar sat down with Esquire to discuss his other height advantages. The person you see above performing a spectacular kick while completely horizontal is Peter Crouch. Crouch’s height is legendary. His nickname is Mr. Roboto. What’s surprising is, when Crouch was younger, coaches didn’t believe in him too much. They thought he was just a tall for nothing player. 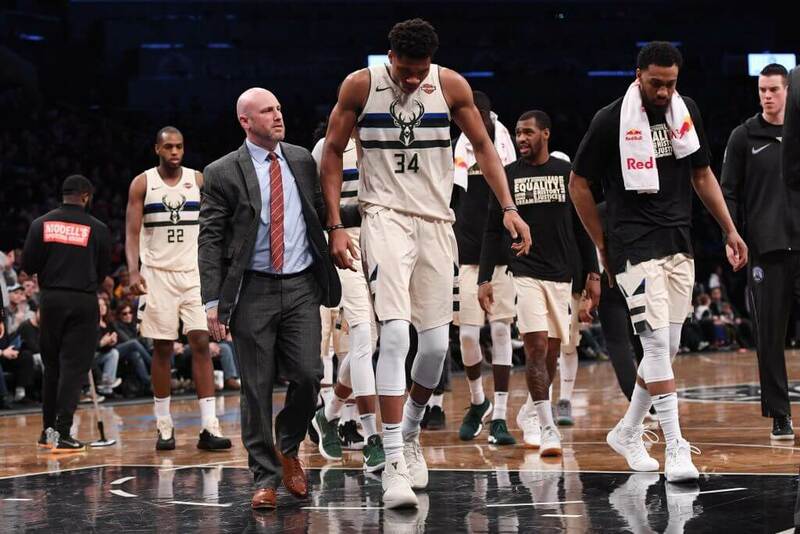 “It was not easy being a very tall, skinny teenager who many coaches did not rate because they could not see beyond his unusual build,” the Independent wrote. Crouch had to turn doubters into believers and that is exactly what he did. The 6’7″ striker is now a world-renowned player. 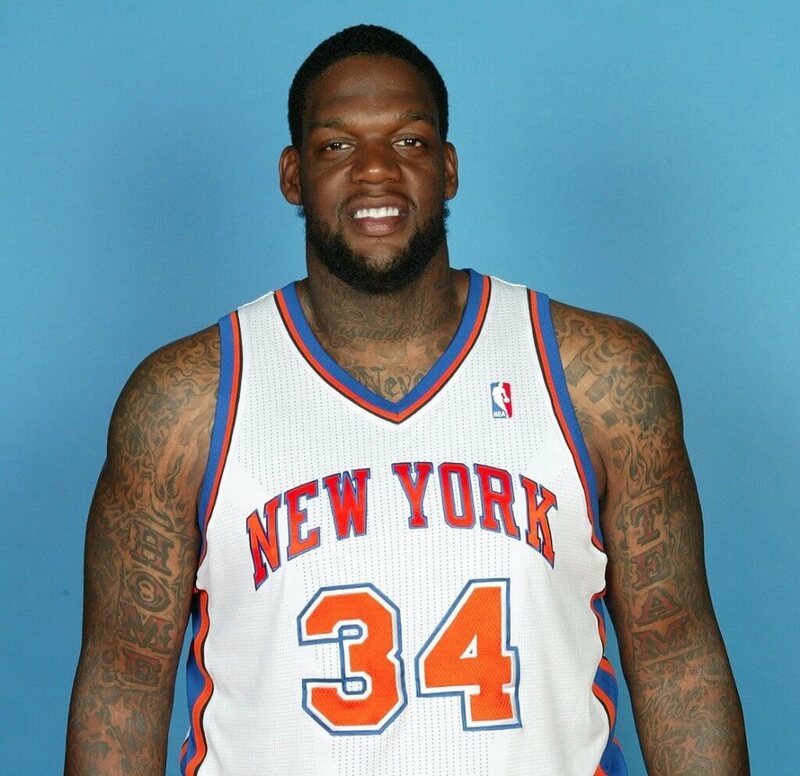 Eddy Curry had the height and the potential to be great. Too bad for him, he didn’t have the mentality. At 7’0″ and 300 pounds, Curry let his weight get the best of him and it ended up causing him his career. You can’t run up and down the court competing with other big bodied players if you’re out of shape! One season for him was really bad when he was to play for new head coach Mike D’Antoni, who prefers a uptempo style of play. “The next two seasons would see Curry eat his way into newly-appointed head coach Mike D’Antoni’s doghouse, as Curry showed up overweight and out of shape to training camp both seasons,” Bleacherreport stated. 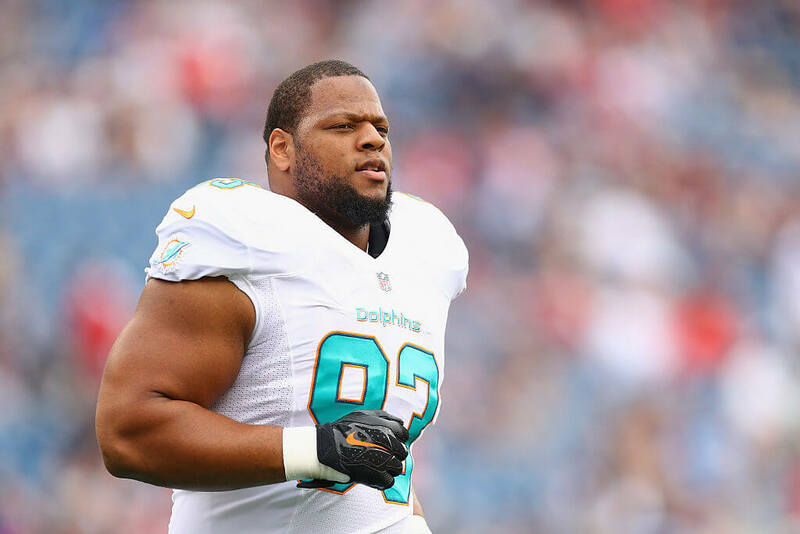 Ndamukong Suh has earned himself a bad reputation on the field over the length of his playing career but lately, he’s been letting his play be his reputation. Having done cruel things in the past to other players like stomping one out, it can be hard to regain the support of fans and your peers. But none of that would have been a problem if Suh never ended up playing football in the first place. “Coaches had been begging him to play,” GQ writes. “A kid that big? That nimble? Suddenly his size, his muscle mass, were assets. It was like coming out of the closet. 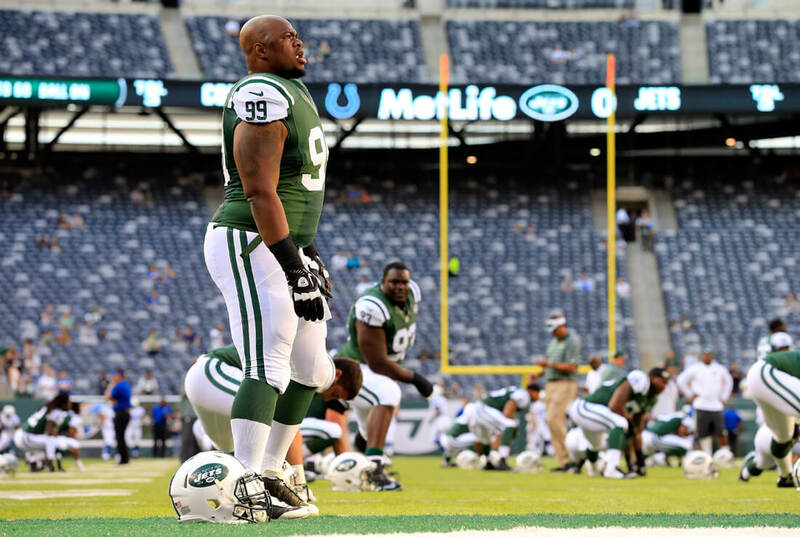 He was encouraged to hit people.” His early coaches had awakened the current 6’4″, 307-pound lineman. One of the tallest NBA players in history is still to come. 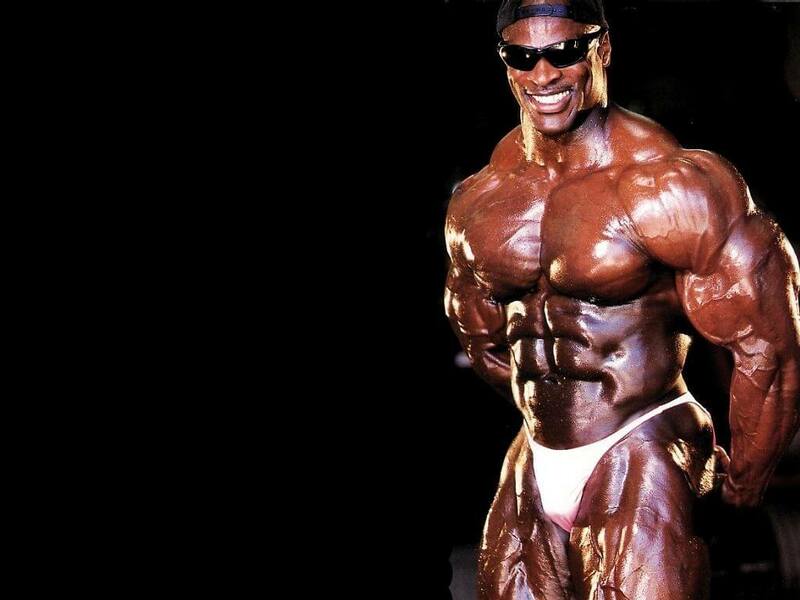 At 5’11”, Ronnie Coleman weighs 300 pounds. If you recall earlier from the list, that’s the weight of a much taller offensive lineman. Clearly, this Olympic weightlifter is ripped beyond measure. HIs arm is the size of a third grader. Manute Bol was 6’10” at 14 years old, which is taller than 99 percent of American adults and most of the NBA. 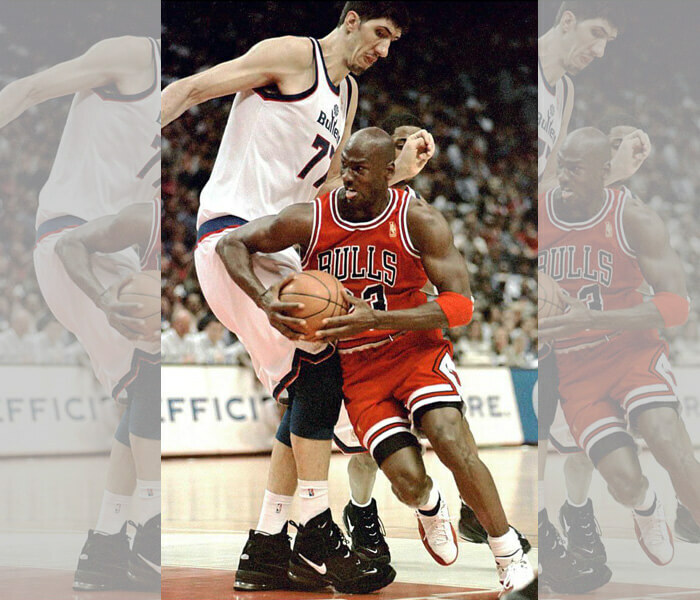 Once he reached his peak height of 7’7″, he was tied for the tallest player to ever play in the NBA. But when he was young, he wasn’t into playing basketball. Wladimir Klitschko is a former professional boxer, who competed for more than two decades before retiring in 2017. The two-time world heavyweight champion is 6’6″ and weighs around 245 pounds. He ended his successful boxing career with an incredible 64 wins out of 69 fights of which 53 were by knockout. If you’re not familiar with Klitschko, you may be familiar with his fiance—actress Hayden Panettiere. The two have been together since 2009 and welcomed a daughter in 2014. At 5’4″, the boxer is 14 inches taller than Panettiere. Kevin Garnett is a former professional basketball player. Playing for 21 seasons, Garnett was a power forward and center for the Minnesota Timberwolves, Boston Celtics, and Brooklyn Nets between 1995 and 2016. Garnett played basketball from a young age and entered the NBA draft in 1995. He became the first NBA player drafted directly out of high school in more than 20 years! Although Garnett’s height is list as 6’11” by the National Basketball Association, he is widely accepted to be at least 7 feet tall and was measured to be 7’1″ while wearing his basketball shoes. Pau Gasol Sáez is a professional basketball player for the San Antonia Spurs who stands tall at 7′. Despite his height, Gasol is very quick on the court, which allows him to play both center and forward positions. Gasol has had a successful basketball career, but originally wanted to be a doctor and became interested in medicine after learning that Magic Johnson was HIV-positive in 1991. He enrolled in medical school at the University of Barcelona but left as his basketball career advanced. 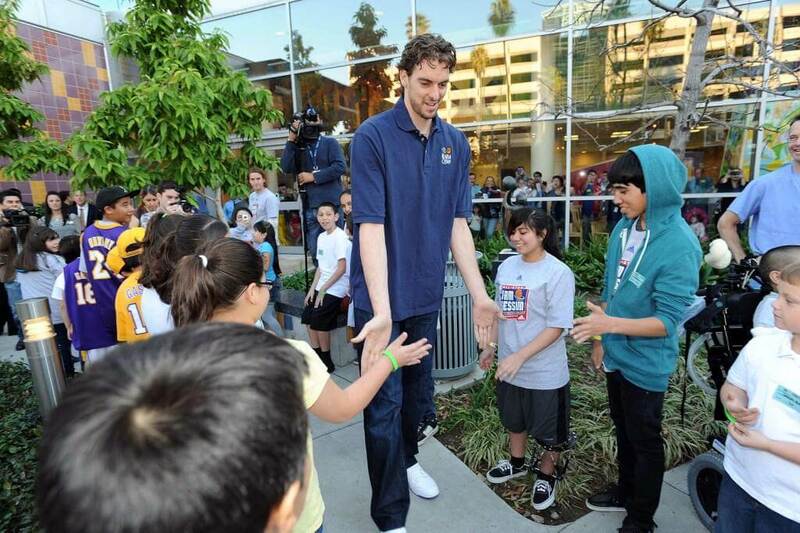 Pau isn’t the only huge athlete in the Gasol family though. 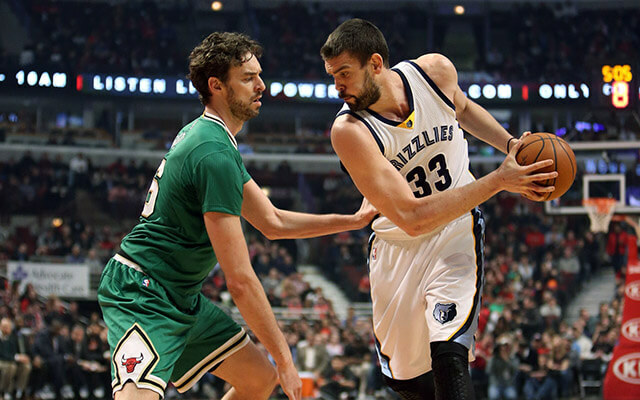 Following his older brother’s footsteps, Marc Gasol is a professional basketball player for the Memphis Grizzlies. At 7’1″, Marc stands just slightly taller than his big bro. Like Pau, Marc started playing basketball at a young age, eventually earning the nickname “The Big Burrito” for his larger-than-life size. He was drafted 48th overall in the 2007 NBA draft where he went on to sign with the Grizzlies. He won the NBA Defensive Player of the Year Award in 2013 and is a two-time All-NBA Team member and three-time All-Star. At 6’8″ and 550 pounds, Akebono Tarō is truly larger than life. Tarō is an American-born Japanese professional wrestler and a former sumo wrestler. Tarō excelled athletically from a young age and was actually an all-star basketball player throughout high school. He was so good on the court that he went to Hawaii Pacific University on a basketball scholarship, but ended up sitting out his freshman season. Tarō originally intended on studying hotel management in college but had always had an interest in sumo wrestling so he sought out training and eventually became the first non-Japanese-born wrestler to ever reach the highest rank in sumo. 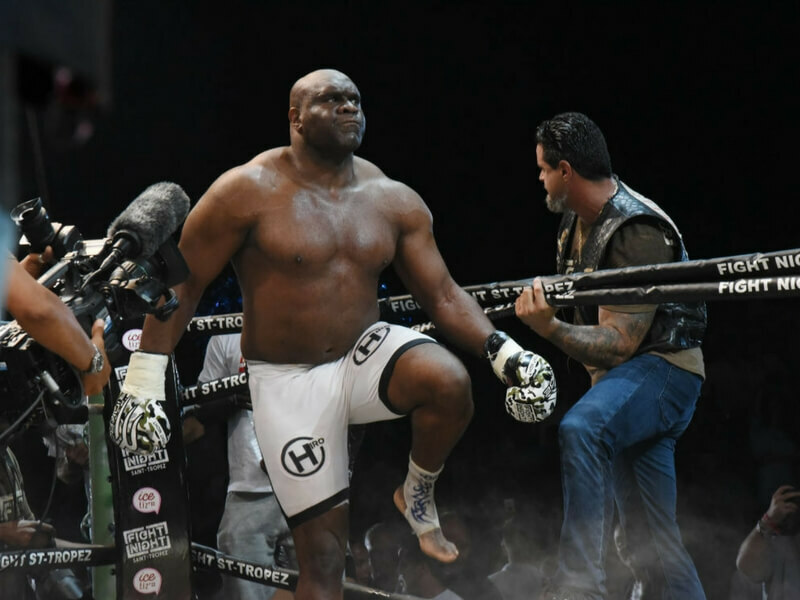 Professional wrestler Bob Sapp stands at 6’5″, which isn’t all that tall compared to others on our list, but at 329 pounds of pure muscle, Sapp is a force to be reckoned with. A kickboxer and MMA fighter turned wrestler, Sapp has a combined fight record of 23-35-1. Sapp began his athletic career with a different sport—football. He received a football scholarship to the University of Washinton where he won the Morris Award before being drafted by the Chicago Bears. Unfortunately, he was eventually suspended for steroid abuse. He broke into the world of wrestling in 2001 and hasn’t looked back. At 7’2″ and 315 pounds, Hong-man Choi is one of the most intimidating boxers to step into the rink in recent years. Not only is Choi huge, but he’s surprisingly fast for his size and has the nickname “Korean Colossus.” Switching between kickboxing and MMA, Choi excels at both and is truly terrifying to watch against opponents. Outside of the ring, Choi leads a much different life. He began his singing career with supermodel Kang Soo Hee under the name Beauty & The Beast. The duo even made a rap single together. When he’s not kickboxing or singing, he is also an actor and has been featured in a number of Japanese TV dramas. 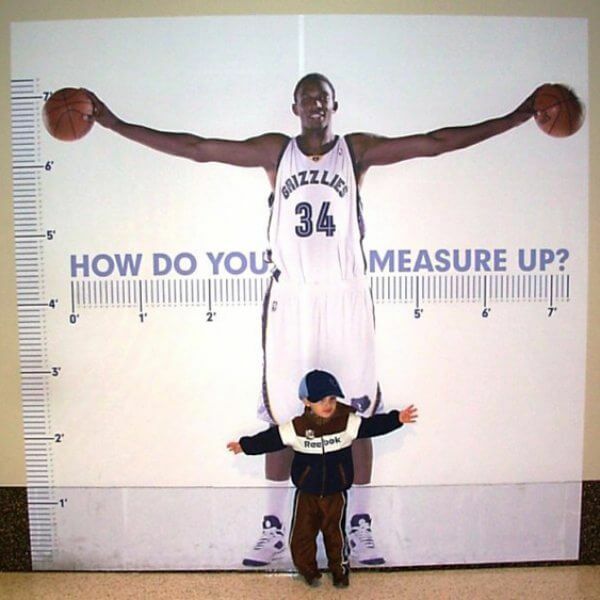 At 7’3″ and 263 pounds, NBA star Hasheem Thabeet is one of the largest athletes on the court. Hailing from Tanzania, Thabeet didn’t pick up a basketball until he was 15. It’s a good thing he did though because he was drafted second overall in the 2009 NBA draft by the Memphis Grizzlies. Thabeet was the first Tanzanian-born NBA played and started his professional basketball career with a season-high five blocks. After his time with the Grizzlies, he was traded amongst multiple teams including the Houston Rockets, the Portland Trail Blazers, the Oklahoma City Thunder, The Philadelphia 76ers, the Grand Rapids Drive, the Detroit Pistons, and finally, the Yokohama B-Corsairs. 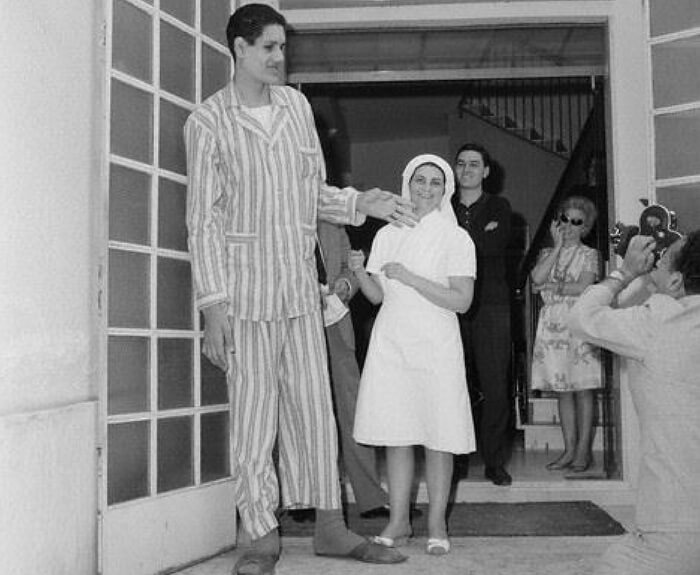 At an astounding 8 feet tall, Suleiman Ali Nashnush is thought to have been the tallest basketball player in history. Born in Tripoli, Libya in 1943, he began playing basketball when he was a young boy. He went on to play basketball professionally and measured 7’10” at the beginning of his career. Nashnush had an abnormal growth on his brain, which resulted in the overproductive of growth hormone. This meant the basketball star continued to grow well into adulthood. He eventually had the growth removed, and his height topped out at 8′. Ri Myung-Hun is a former North Korean basketball player and played the center position for the national basketball team of the Democratic People’s Republic of Korea. 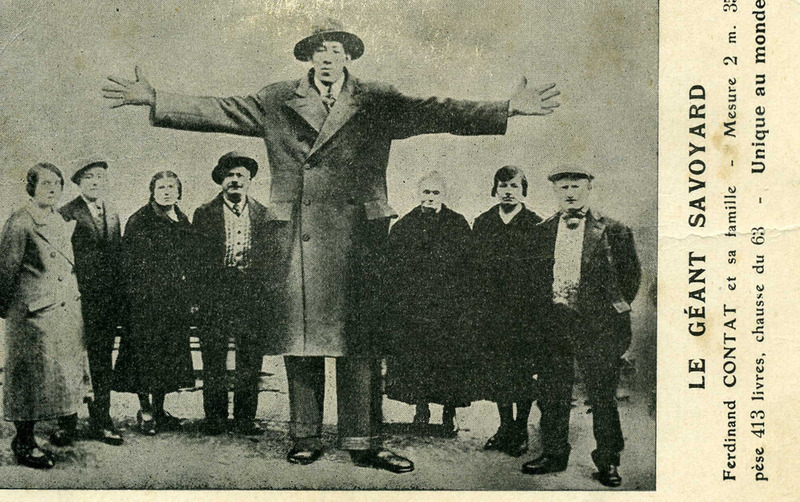 At 7’8.5″ tall, Myung-Hun was once proclaimed to be the tallest living person in the world and was referred to as “the world’s tallest basketball player” by the Associated Press. He had his sights on joining the NBA and relocated to Canada to start training where he was eventually scouted. Unfortunately, Myung-Hun was unable to join the NBA because of the U.S. ban on trade with North Korea. 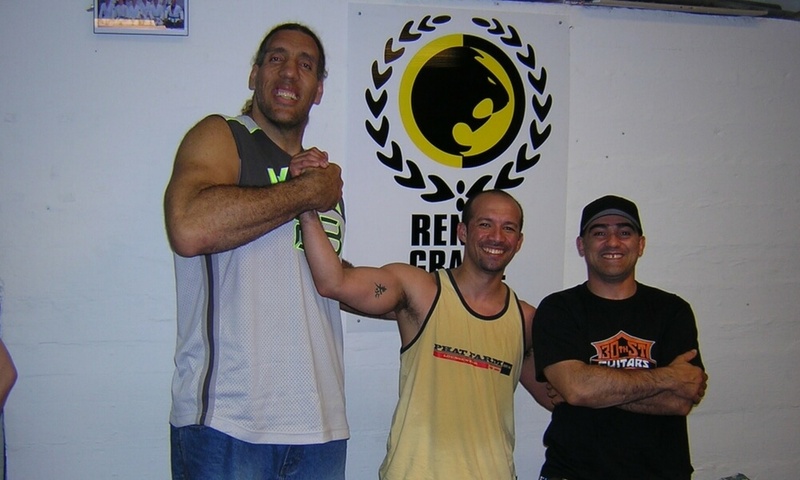 At 7’2″ and 385 pounds, Giant Silva isn’t someone you want on your bad side. The professional wrestler is a super heavyweight champion with a slew of awards under his belt. Born Paulo César da Silva, he was given the nickname Giant Silva shortly after making his World Wrestling Federation debut. Like other wrestlers on our list, Giant Silva was set to become a professional athlete in another sport before stepping into the rink. In the ’80s, he was a professional basketball player and played for the National Brazilian Basketball Team during the preliminaries to the 1988 Summer Olympics. He eventually left basketball behind for wrestling and turned pro in 1997. When Shawn Bradley burst onto the NBA scene, the hype was real. Everyone was excited to see a fresh player who just happened to be a staggering 7’6″ tall. But the balloon of excitement burst before it was barely done inflating. Bradley wasn’t exactly super skilled on the court and was just as goofy as he was tall. Throughout his short-lived career, he averaged just eight points and six rebounds. Today, Bradley is more focused on his involvement with various charitable groups. He frequently works with at-risk youths. College football player Dondre Harris made headlines when the media questioned whether or not he was too big to play football. 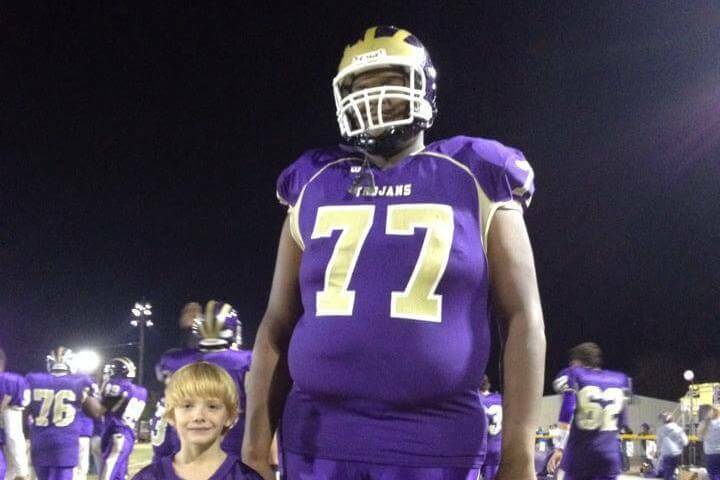 At 7″ and 450 pounds, Harris was huge. His size made him a bulldozer on the field, but his weight also meant he wasn’t the fastest. Even after he lost 75 pounds, Harris still couldn’t increase his speed, which meant his size proved to be a strength and a weakness. Although he doesn’t want to pursue a career in the NFL, Harris says he is happy playing college ball. 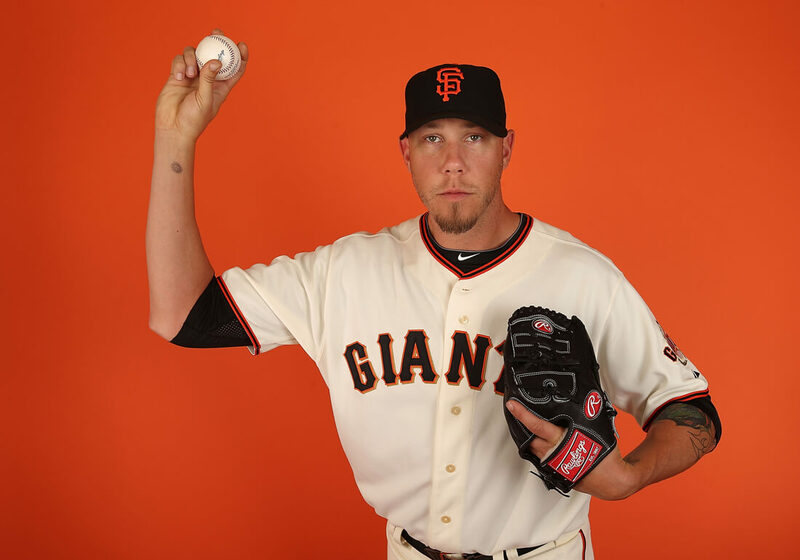 When we think of Major League Baseball players, we don’t necessarily think of them being extraordinarily tall. After all, it’s not like they have to tackle anyone or shoot hoops into a tall net. But still, there are a handful of tall baseball players that make you do a double take when you realize their insane height. One of these players is Logan Ondrusek. Ondrusek is 6’8″ and 245 pounds. 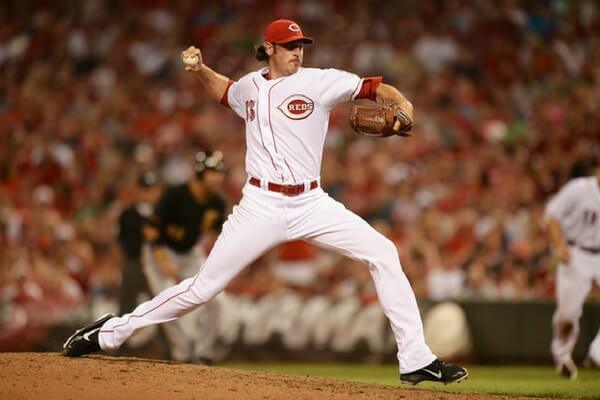 He started his professional baseball career playing for the Cincinnati Reds and now plays in Japan where he is one of the tallest players of the bunch. 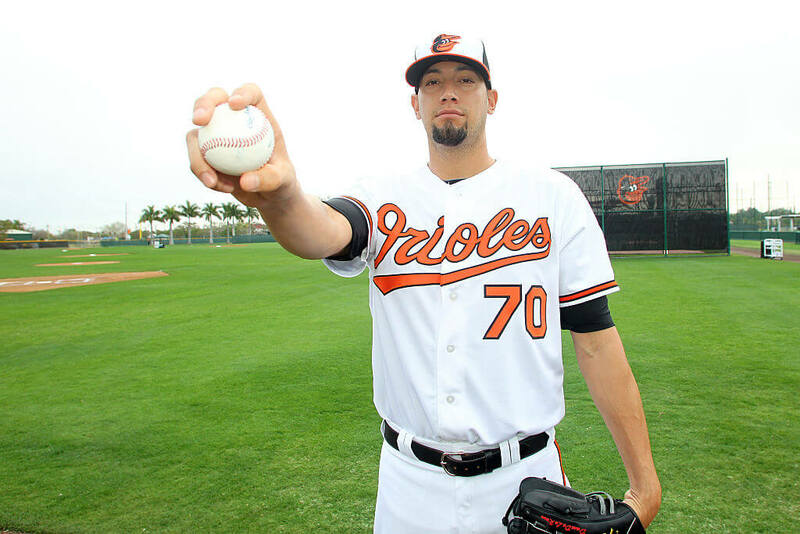 All of that height sure gives him a ton of torque to throw pitches. 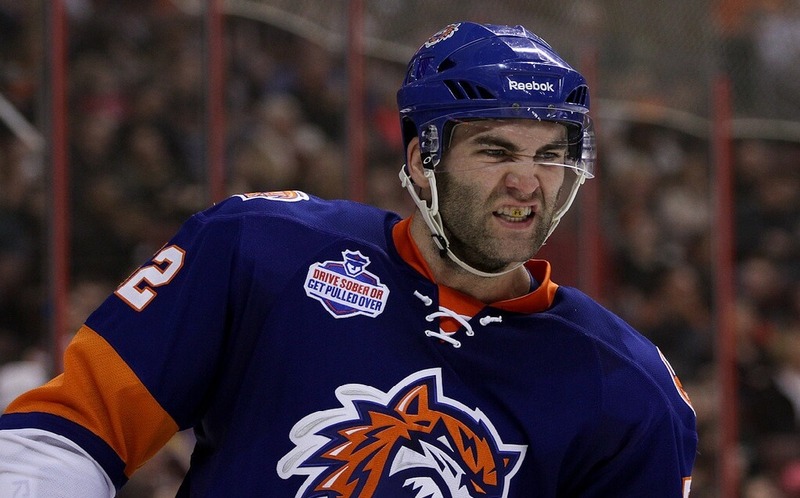 At 6’8″ and 260 pound Joe Finley is a force to be reckoned with on the ice. The American ice hockey defenseman was selected by the Washington Capitals in the first round of the 2005 NHL Entry Draft and has been playing professionally since. Born in Edina, Minnesota, Finley began playing hockey at a young age. He played for the Edina Peewee A State championship team in 1999 and 2000 before going pro. A star athlete in the rink, Finley’s career was almost thwarted after he ruptured an artery in his hand during a game against the Gwinnett Gladiators. He received surgery and eventually recovered. 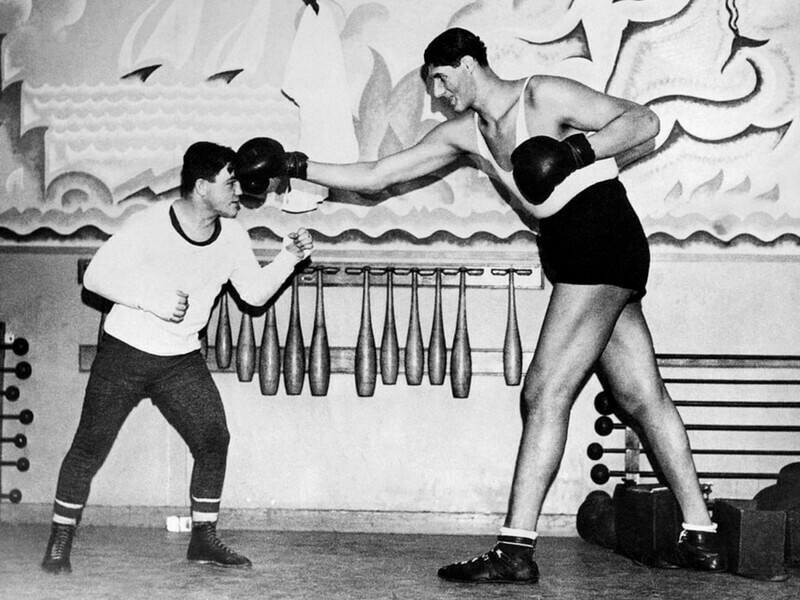 Standing 7 feet, 4 inches tall and weighing 330 pounds, Gogeo Mitu was the tallest professional boxer in history. Born in Romania, he was the first of 11 children and soon became world-famous due to his enormous stature. He was often sought after by doctors and scientists who wanted to study the causes of his gigantism, as well as people who wanted to profit off of his appearance. It’s said that Mitu regularly ate a large lunch to keep his appetite satiated that consisted of two pounds of bread, 25 eggs, two pounds of fried chicken, two liters of milk, two pounds of sweet, and a half liter of wine. He died at just 21 from tuberculosis. 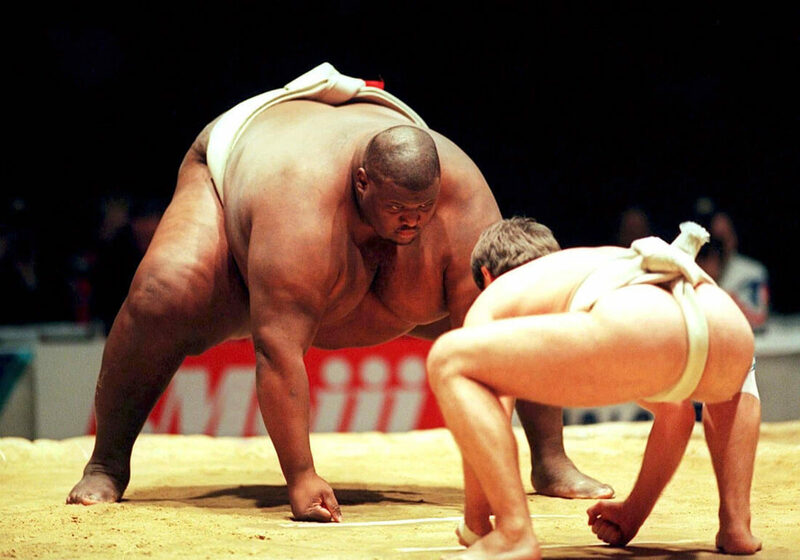 Konishiki Yasokichi might be the most massive athlete on our list. 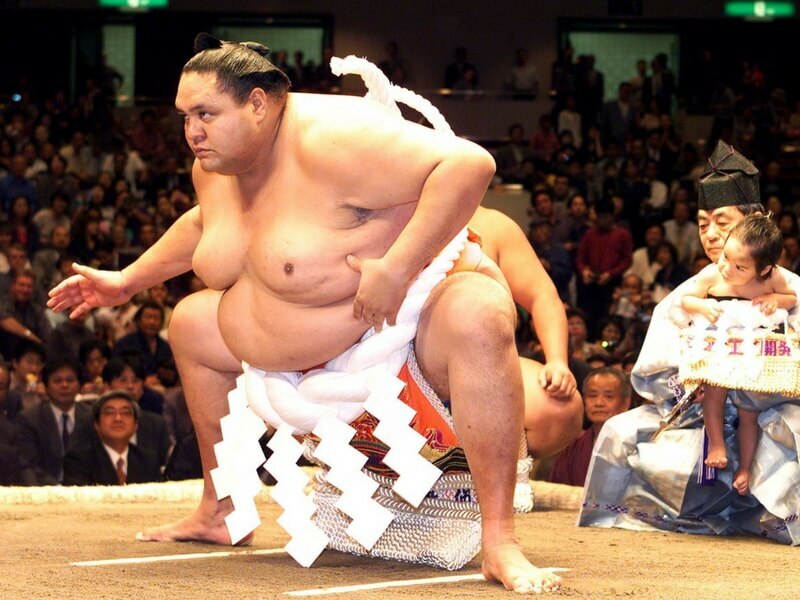 The Hawaiian-born Japanese-Samoan sumo wrestler stands 6’4″ and weighs 633 pounds. Before retiring in 1997, Yasokichi had an impressive career. He was the first non-Japanese wrestler to reach ōzeki, which is the second-highest rank in sumo. After retirement, Yasokichi turned to the entertainment world. An anime series entitled called Dotto! Koni-chan was created in homage to him, as he is much loved among many Japanese. Yasokicki has also acted in movies and even appeared in The Fast and the Furious: Tokyo Drift. He’s worked as a children’s program host, as a radio DJ, and as a musician. Such a well-rounded guy! This man has the distinction of being the tallest man in the history of the NBA. He’s also the tallest in Romania and in the entire continent of Europe! Gheorghe Mureșan, who is Romanian, is 7’7” tall and weighs in at 325 pounds. Mureșan is now retired from the NBA. From 1993 to 2000 he played for the Washington Bullets and the New Jersey Nets. In 1996 he was named the NBA’s Most Improved Player. He also participated in a 2007 basketball game for the tallest of the tall in the sport. 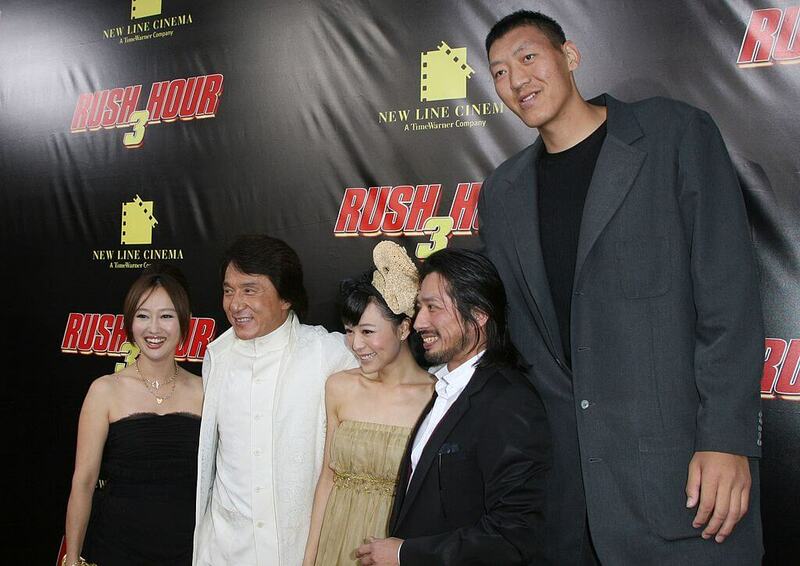 Sun Mingming, at 7’9”, was the only person there taller than Mureșan. 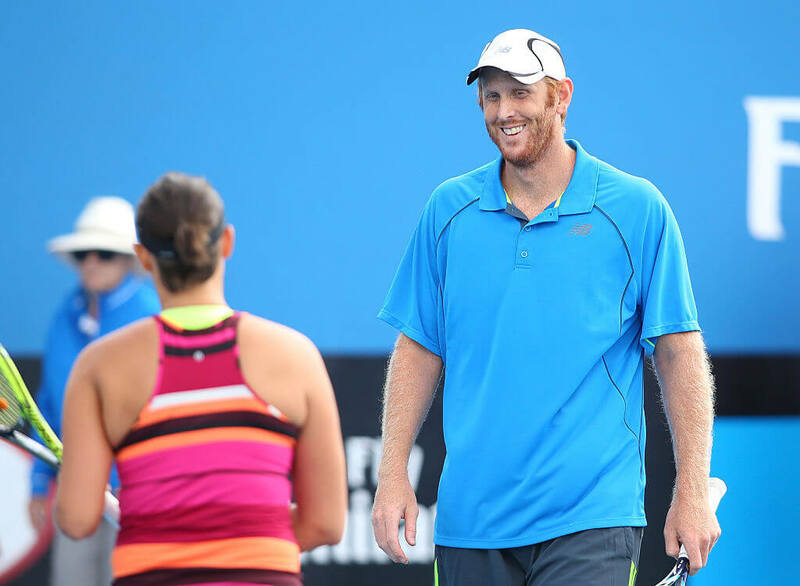 Chris Guccione is another tennis player who is larger than average. Although the sport is now trending toward taller players, Guccione is still a standout. The Australian, who hails from Greenvale, Victoria, stands at 6’7” tall and weighs 203 pounds. That’s a substantial height and amount of weight to carry around, considering how fast and nimble the sport of tennis requires players to be. Guccione was once ranked the 67th best tennis player in the world for singles, and 38th for doubles. 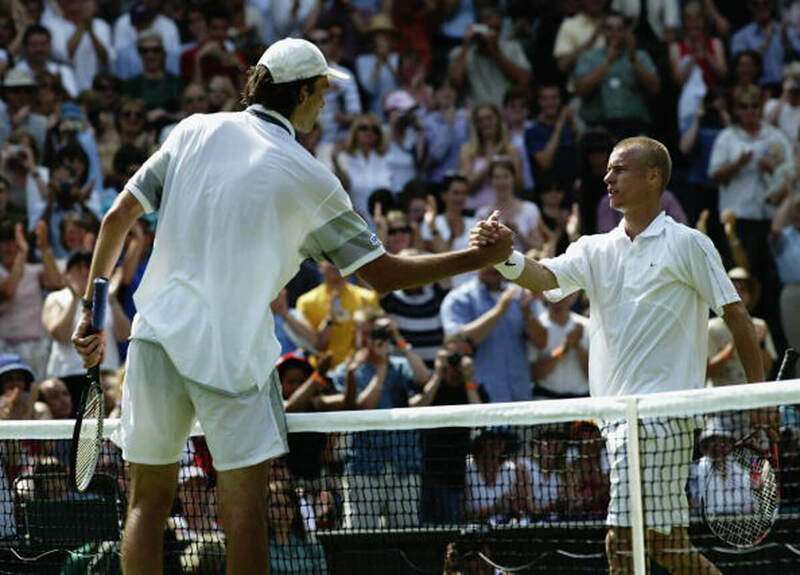 He’s also won four ATP Tour doubles titles over the course of his career. This is Richard Sligh. The South Carolina native was born in 1944. 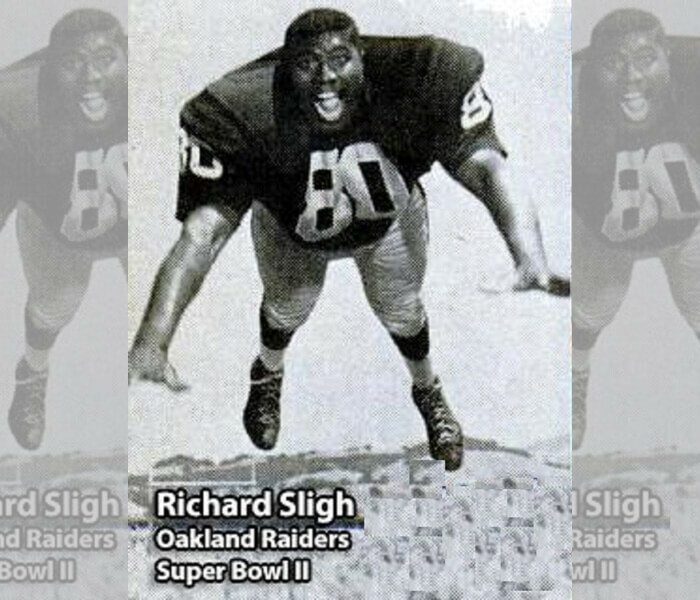 He became a defensive tackle for the American Football League’s Oakland Raiders after playing college ball at North Carolina Central University, where he was a Dean’s List student. Nicknamed “Tiny,” Sligh was the tallest player in professional football history, at 7” tall and a hulking 300 pounds. During Super Bowl II he was a reserve for the Raiders. Sligh retired from football in 1968, after being named an AFL champion. Sadly, he passed away on December 23, 2008, in North Carolina. He was just 64. Joel Imbiid, the Cameroon University of Kansas product is a force to be reckoned with. He is 7’0″ tall and weighs 250 pounds. Imbiid has the ability to change the NBA with his height and combination of incredible talent. did we mention he is technically only a sophomore in the NBA? He can do all the things guards do but plays the big man position. 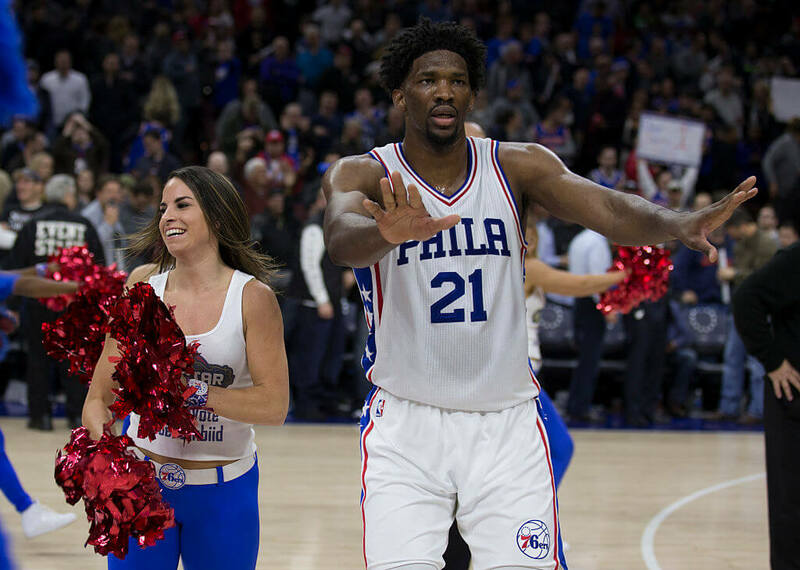 “Joel Embiid, with his agile, 7-foot frame, uncanny defensive instincts, and the ability to score in the low post and beyond the arc with equal ease, is the perfect player,” wrote Seerat Sohi for SBNation. Such an interesting name for a huge competitor. Just wait until you hear is official listings, this man was far from “Little”. 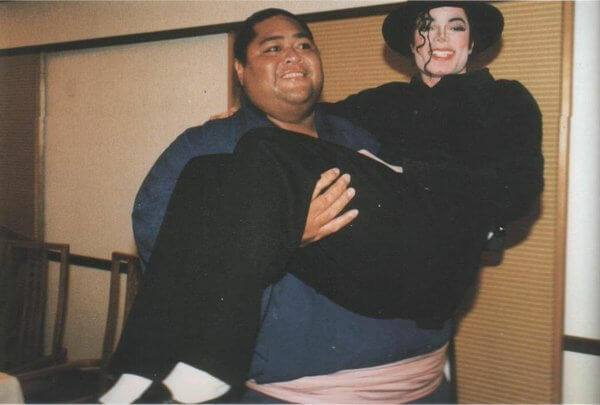 He became famous as a mixed-martial arts fighter and an international sumo wrestler. He was recruited as a wrestler and football player by the smart men over at Morgan State University. “At 6-foot, 8-inches tall and weighing more than 700 pounds, Emanuel Yarbrough was once listed as the heaviest living athlete in the Guinness World Records,” wrote Tom Hayden for NJ. Imagine stepping up against 700 pounds and the announcer calling him little. You know you’re great at what you do when you have the best sticking up for you. Phil Loadholt wasn’t really the best due to pure skill but he was amazing because of his massive size. 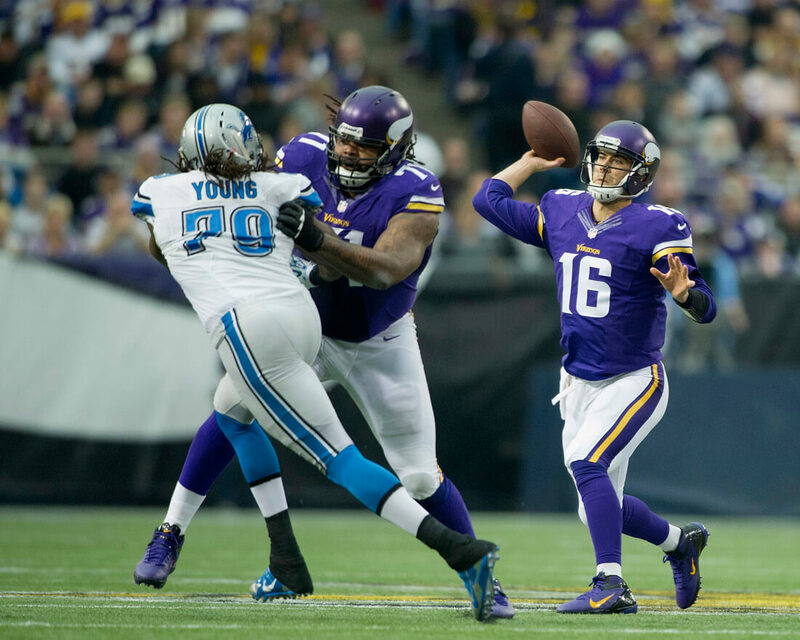 Loadholt plays for the Minnesota Vikings and while Adrian Peterson was there, he advocated for the Vikings to keep the well-sized lineman around to help with his running game. “He’s just been improving each year. I’m going to keep my arms around him this offseason as well, just to make sure he’s staying on top of this game and he’s working out and he’s doing the necessary things to make someone want to bring you back as well,” Peterson said. Loadholt is 6’8″ and weighs 345 pounds. Andrew Bynum came straight out of high school and was drafted number ten overall by the Los Angeles Lakers. Many thought he wouldn’t be worth it and the 7’0″ center would be nothing but a bust and they were half-correct. 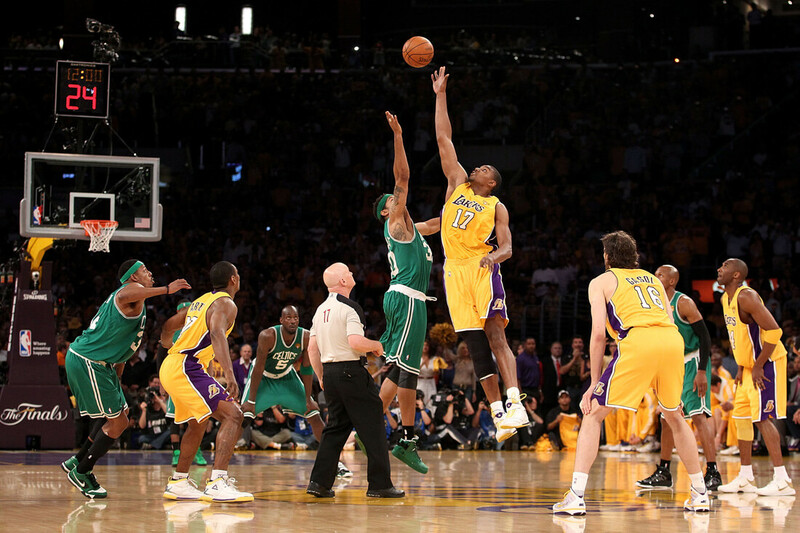 Bynum successfully helped the Lakers win back-to-back titles during his prime (which was still considerably young at 21 and 22). Sadly, once the Lakers started to lose again, Bynum found himself bouncing around a couple teams before completely just vanishing from the NBA altogether. HIs conditioning became poor and Bynum fell out of shape. At 6’8″ and 245 pounds, Kameron Loe was a load on the mound. For those who faced him and saw him wind up for a fastball for the first time, they must have been a bit distraught. There are some other baseball players that stack up to his size but they know how to utilize their mass better. Loe wasn’t as great as his size indicated. He witnessed far too many balls go in the opposite direction. He was an MLB journeyman that only played for nine years. Had he found a better coach or someone to show him how to tame his size then maybe things would have been different. “A player is entitled to a vertical position even to the extent of holding his arms above his shoulders, as in post play or when double-teaming in pressing tactics.” That is a rule straight from the NBA’s rulebook. 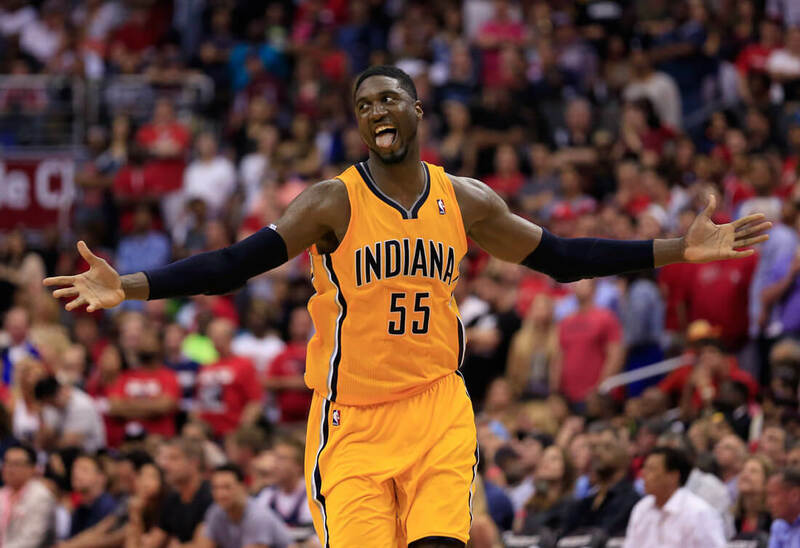 That also happens to be a rule that was created thanks to Roy Hibbert. Standing at 7’2″ and equipped with a 7’4″ wingspan, this man caused major problems for opposing teams in his heyday. In a sport that literally measures every inch and pound of your body so that you can compete in a fair match, Mariusz Wach was in a class of his own. There was only one prized fight that had him pitted against another athlete in the same stratosphere as him and that was Wladimir Klitschko (who you saw earlier). The Guardian wrote of the fight, “The fight marked the first time Klitschko was up against someone taller than him in the city where he made his professional debut.” It was like real life Rock’em Sock’em Robots in action. Wach is 6’7″. Here, we have another huge pitcher that just couldn’t get his size under control but Dane De La Rosa kept at it and managed to make a decent career the four years he played. We know that doesn’t sound like a good career at all but he was still a solid player. “Blessed with a big frame (six-foot-seven, 245 pounds) and a big arm, De La Rosa, despite making it to the show, still had some issues to overcome; most notably control and command,” wrote Tommy Rancel for Daily Gammons. Size doesn’t always mean productivity in sports. Edouard Beaupré was a living giant. Born in 1881 living to 1904, he was a wrestler and a freak show giant. He went up against Louis Cyr, who was supposed to be the strongest man to have ever lived (he was 5’8″ and weighed 365 pounds) and lost. That shouldn’t have taken away from how huge Beaupré was. 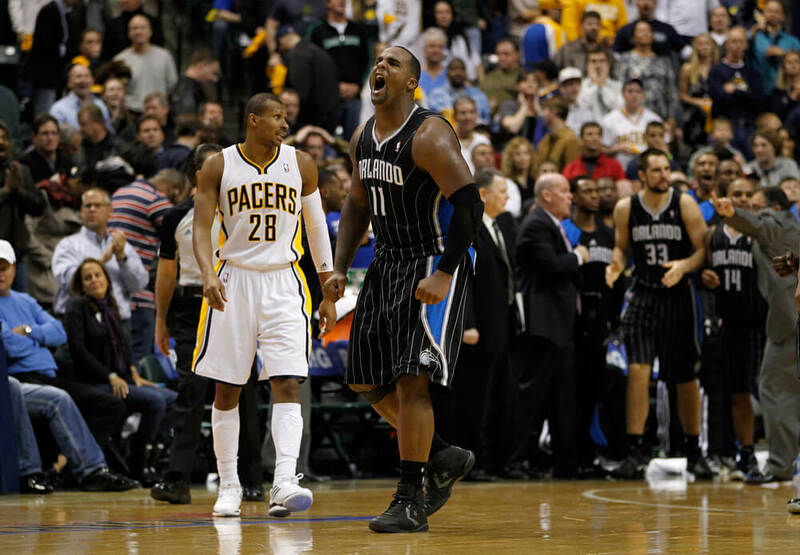 Now, Glen Davis is not the tallest NBA player we have on this list. But for his size at his height of 6’9″, it makes sense why he earned the name “Big Baby” while playing at LSU. Shaquille O’Neal also went to LSU so fans and analyst started to draw comparisons to him and Davis. Which is now quite laughable because Davis’ NBA career was nothing like Shaq’s. Clearly, some general managers saw that Glen Davis was a little too big for his size and that wouldn’t translate well to the NBA so he wasn’t drafted until the second round. Another lineman tasked with protecting the blindside of their beloved quarterback from getting sacked in the backfield. King Dunlap weighs 330 pounds and is 6’9″ tall. Before he was a Charger he played for the Eagles from 2008-2012. He was picked up by the Chargers when he became a free agent and instantly won the starting job there. Just looking at his picture above, you can tell that the linebacker coming towards him has no chance. His size is just too overwhelming for most on the defensive side of the ball. Sadly, he is not on an NFL team this year. For a sport that doesn’t usually mix well with tall athletes, Zdeno Chara seems to be doing quite well (similar to Usain Bolt in track and field). 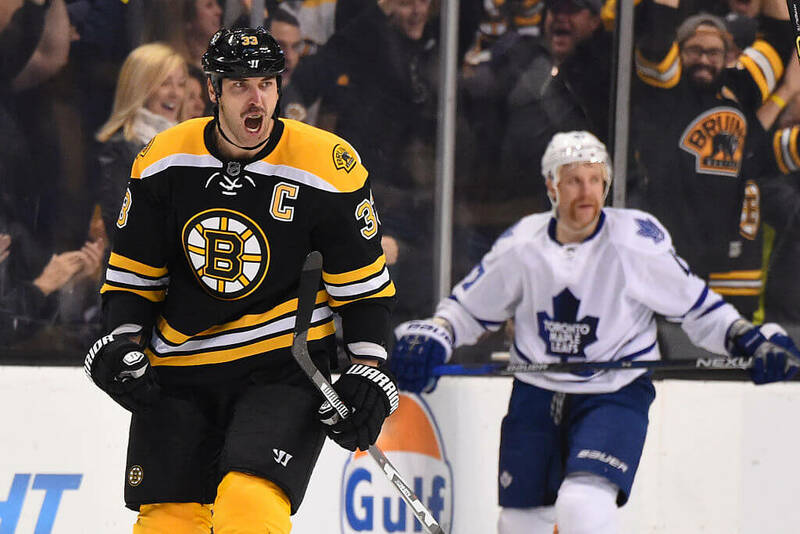 Zdeno isn’t the best to play the sport but he has been the captain of the Bruins and is far more advanced than his teammates. Maybe the true secret to why the Patriots are always in the Super Bowl isn’t Tom Brady or the “cheating”. Perhaps the real reason they are so successful is that Brady has a Cannon protecting him. 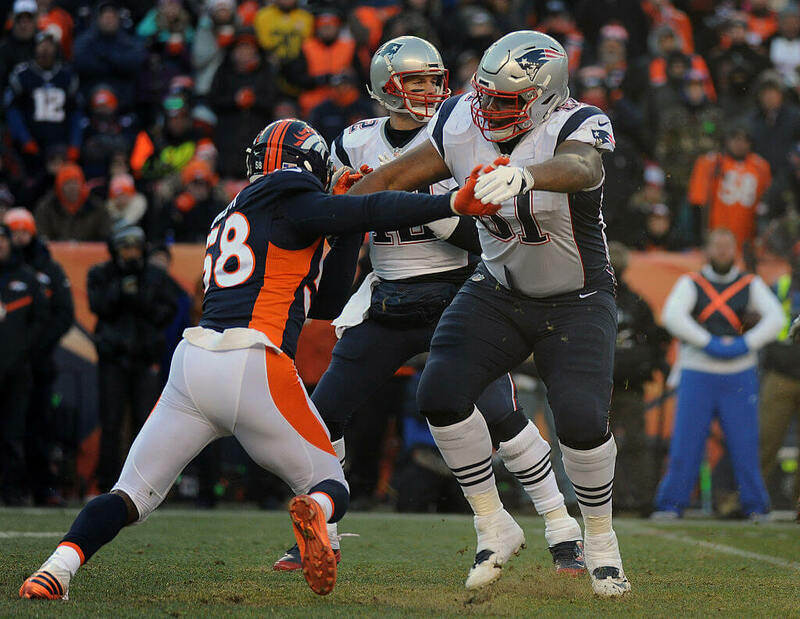 Not just any cannon, his name is Marcus Cannon and he stands at 6’5″ adding 340 pounds of weight. Try getting through that, defense. He is the guy Patriot fans must be secretly rooting for to stay healthy because, without his help, Brady is an open target. We hope they can find a replacement once his days in New England or over. 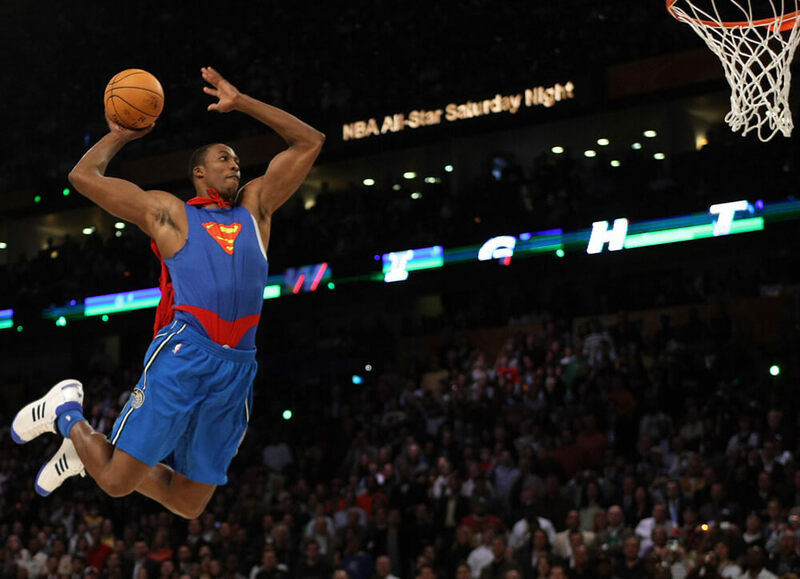 Look at him, gracefully flying through the air with his 8’0″ wingspan. Kristaps Porzingis was booed by everyone on draft day and people threatened to bring harm to Phil Jackson when the Knicks drafted him. Luckily, Porzingis has proven to be the steal of his draft class and only looks to get better. He got the nickname “The Unicorn” because he can do it all on the court. And now that he is the only star left in New York, it is up to the 7’3″ foreigner to bring the noise. 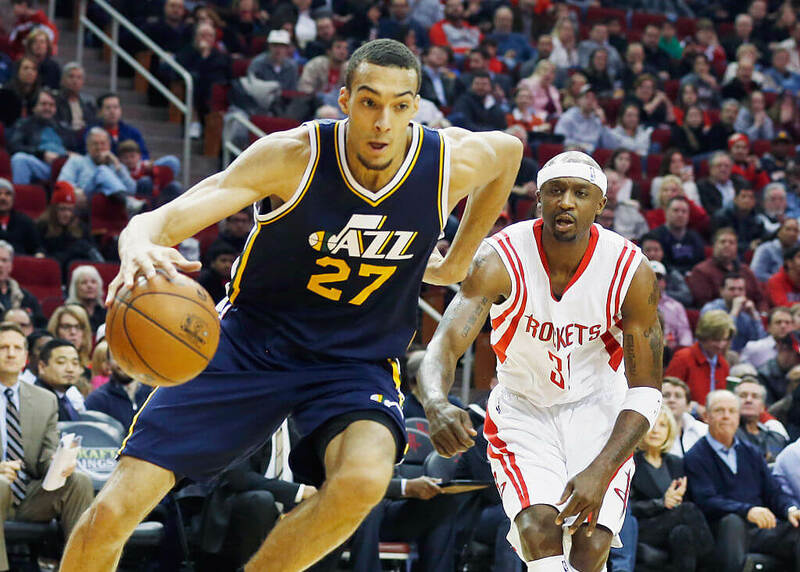 Rudy Gobert is now the saving grace of the Utah Jazz. He has all the makings of an elite NBA center and future superstar, he just needs to put all of it together. He is far from a bust and has only gotten better each of his years in the NBA. The Jazz hope they’re draft pick becomes what they think he can become. 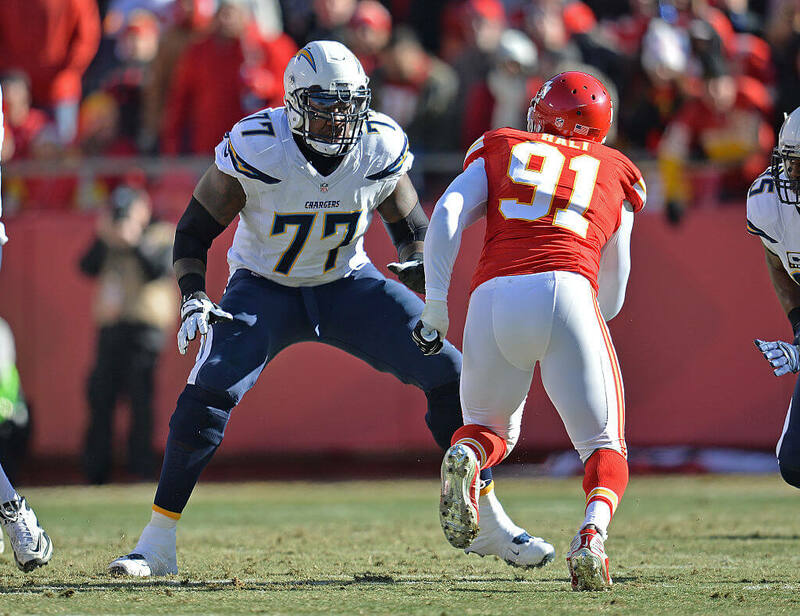 To be considered the best defensive tackle in the NFL, one must possess a huge body and have an amazing athletic ability so they can move around the field. Shaun Rogers was just that and was up there with the best. You see in the image above, he breaks through what looks like two or even three defenders before making his way to Tony Romo. If the NFL didn’t have rules protecting certain players from big hits then this might have been the hit that ended Romo’s career and made him a broadcaster. He was 6’4 and 350 pounds while he played. 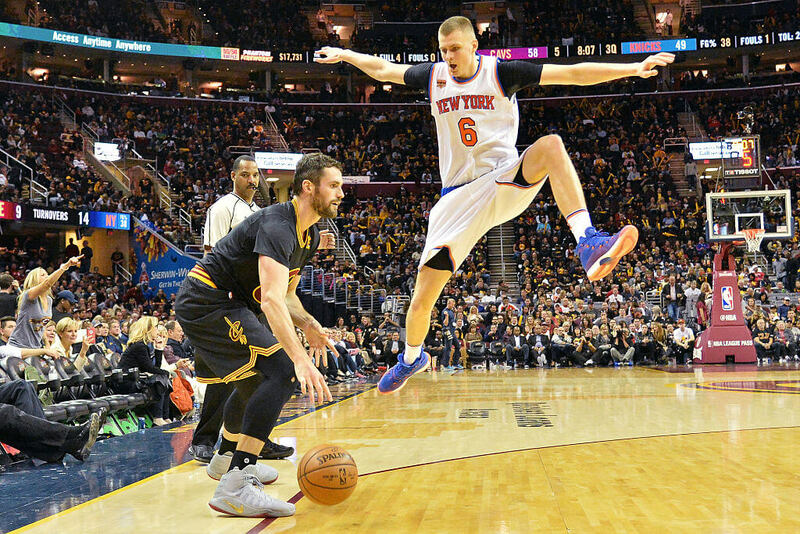 We previously touched on who is believed to be the original unicorn of the NBA, Kristaps Porzingis. But some sports writers beg to differ. 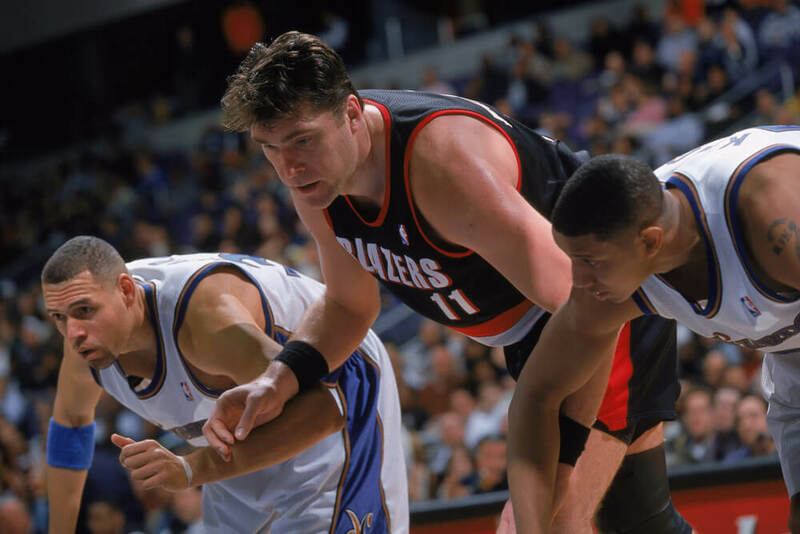 They think Arvydas Sabonis from the Portland Trailblazers was the real unicorn. At 7’3″, he was able to do it all. If you got to stand next to this man, he would seem much taller than what his height would indicate. 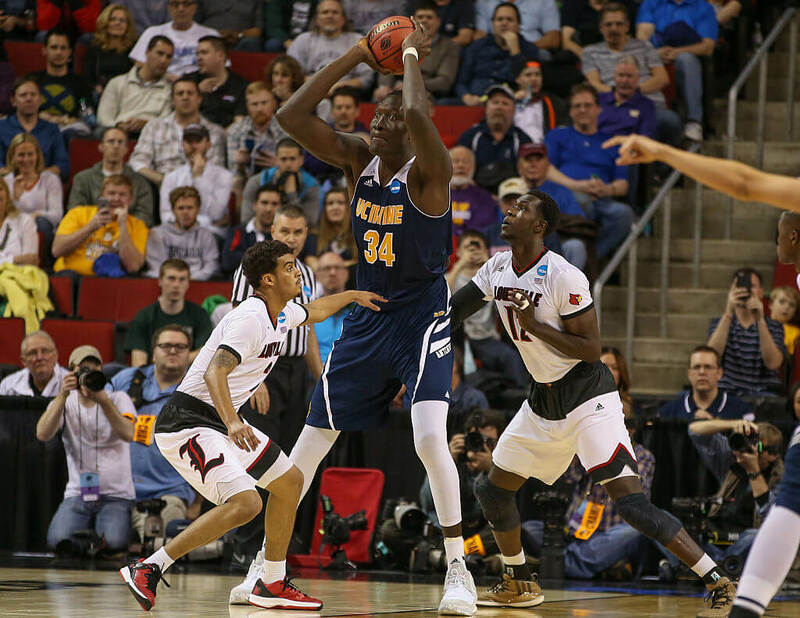 Mamadou Ndiaye was the tallest college basketball player in the country before declaring for the draft. Now, his career is stuck on what next and it’s only been a year. The Polynesian pride, Paul Soliai was not one to underestimate. 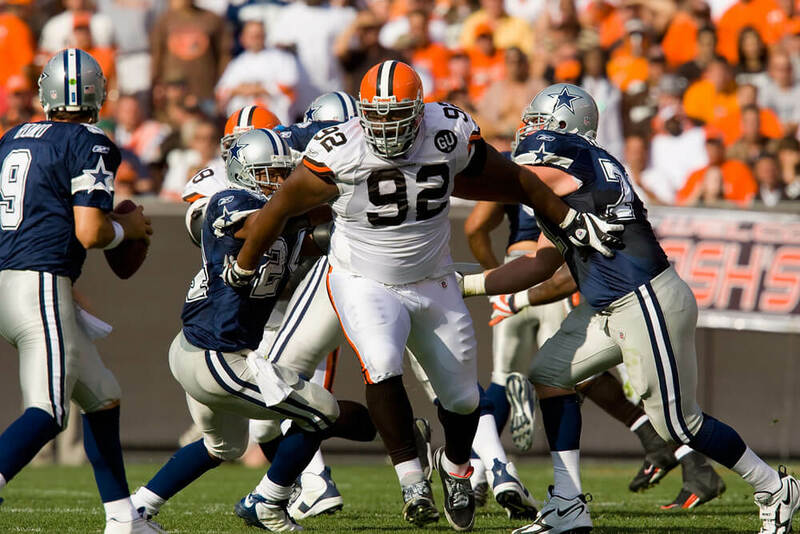 He was 6’4″ and weighed 332 pounds playing defensive tackle. So he would face guys like Tyron Smith who are big in their own right but apparently, Soliai had an advantage to his game that only a few had as well. “Polynesian players are built for combat, built for football – big, strong, fast, said Haloti Moala who was a Polynesian coach. “The warrior spirit is within us. We love contact. That’s been the history of our people.” He was a problem for all offenses. There is a perfect explanation behind this guy’s nickname. First of all, his real name is a tongue twister (Giannis Antetokounmpo) and second, he is a freak of nature. He is so long it only takes him three dribbles to go coast-to-coast and perform a slam dunk. An NBA court is 94 feet long so you do the math. “The length of the average adult male hand, measured from the tip of the thumb to the tip of the pinkie, is 7.4 inches,” wrote Kevin Arnovitz for ESPN. “For Antetokounmpo, it’s 12 inches. The breadth of Antetokounmpo’s hands enables him to get a strong ‘pinch grip’ on a 29.5-inch basketball (what’s commonly known as palming). Not only does palming the ball allow Antetokounmpo to gain maximum control, but by virtue of making the ball an extension of his arm, he effectively gains 2 more inches in height. The Greek Freak stands at 6’11”. Ralph Sampson could have been one of the greats. In fact, many thought he already was once he left college. However, he wasn’t that and was far from it. Whenever he would do something great on the court, people would just yawn and ask why he doesn’t do this more. That was the problem for him, tall expectations. T.J. Barnes is a big boy. 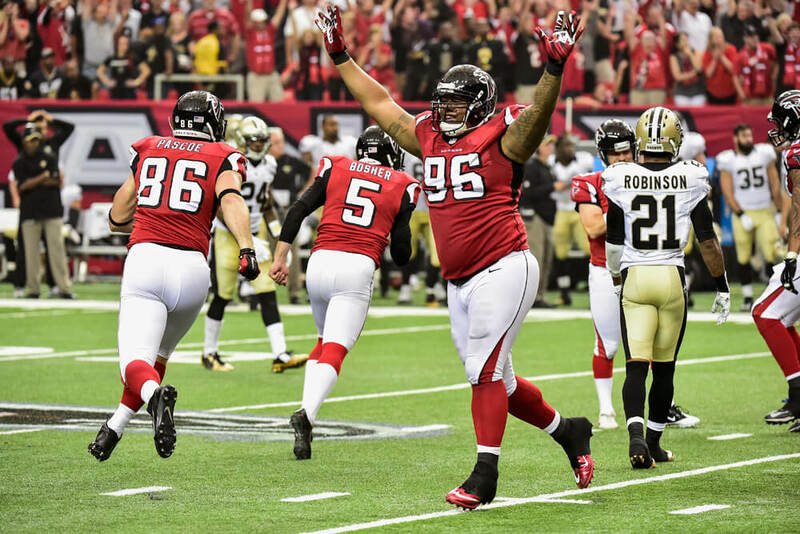 The former Georgia Tech defensive tackle weighs 364 pounds and stands 6’7″. That makes his bigger than the majority of players in a league that already consists of some of the largest humans in the world. Barnes trying to get past Tryon Smith would be a great matchup! Dwight Howard personifies the phrase, “gentle giant”. He wouldn’t harm a grape in a fruit fight. But he does harm rims on the basketball court. The only time you see Howard use his huge size to an advantage is when he is attempting a dunk or maybe a block. On defense, players are aware of him but they aren’t afraid like they would have been if Shaquille O’Neal was under the rim. And at one point, Howard was supposed to be the next O’Neal. At 6’11” and 265 pounds. Howard has only been to the NBA finals once and it was a losing effort to future teammate Kobe Bryant. Bryant even called him soft to his face the year after they played with each other. Maybe if he was more intimidating he would be more of a force in the NBA.